Anyone who has known me personally for more than a half-hour probably thinks that this post centers around what I deem to be the best television show in the history of ever (based upon the post title). Put down your forget-me-now’s hermanos, because that is most definitely not the case. Here’s the story of some old film rolls, that were lost for 14 years, and the one girl who had the guts to develop them. 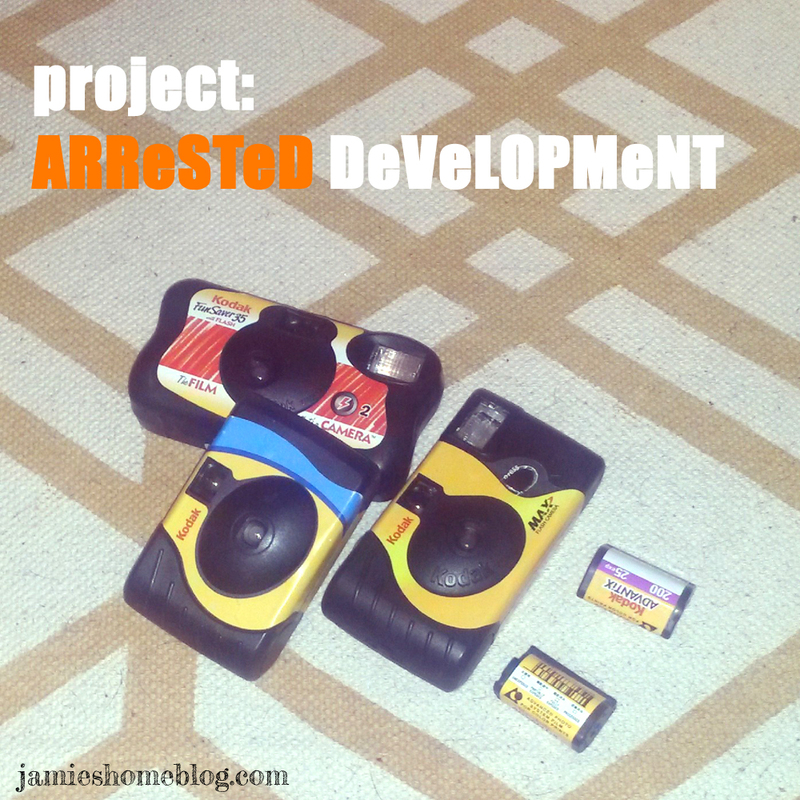 Its… Project… Arrested Development! The back story here isn’t complicated – I had several rolls of film and disposable cameras sitting in a box for about 14 years. I consulted a coworker (who is also an accomplished photographer) on whether or not they could be developed. She told me as long as they weren’t exposed to harsh elements that I should go for it. I went for it. With a few of the rolls, that is. Two of the disposable cams had exposures left on them, so I’m using them up now to see if I can get some cool fades / light leaks on the pics I take. I’m sure I’ll post about that at some point. 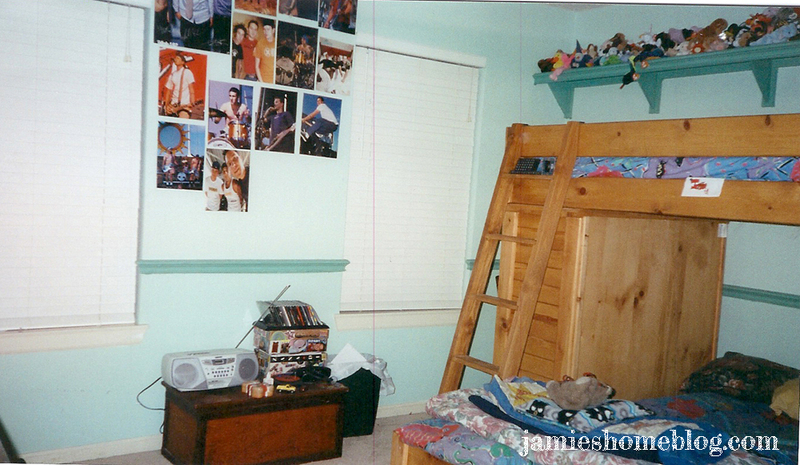 Anyway, the real humor in this story, friends, is that even 14 years ago I seemed to have a propensity to curate my environment and preserve its memory in photographs (hey, just like I do on this blog!). I feel like I’ve maybe improved, even if just a little. I now present to you my room – at age 15. 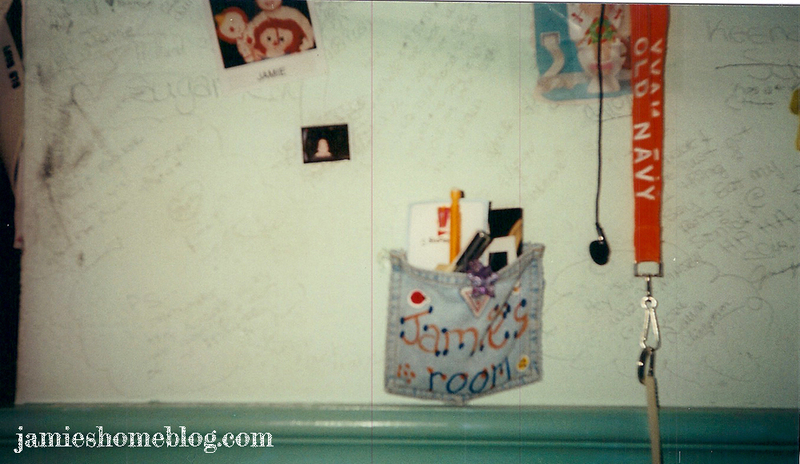 And no wall is complete without photos… and pockets from jeans that are hopefully no longer being worn. But lets actually move into the room, shall we? 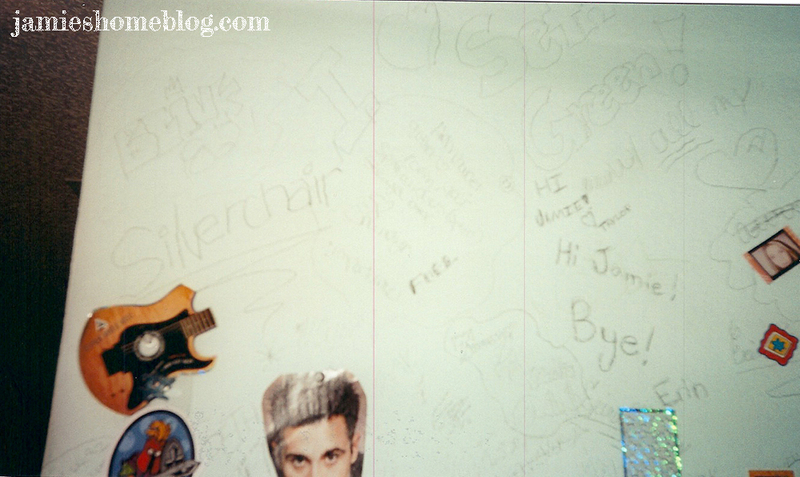 Hey Jame, I think your finger is on the lens… Wait is that Freddie Prinze Jr again? 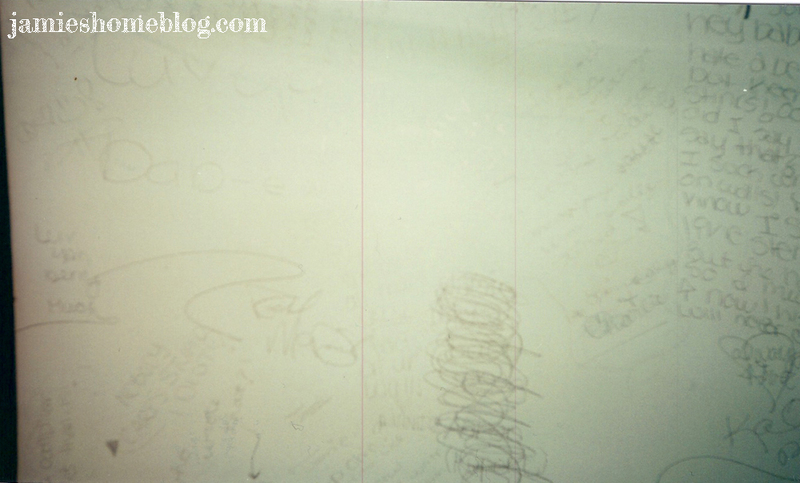 Hello wall gallery… I think I see someones faaaavorite band in there! 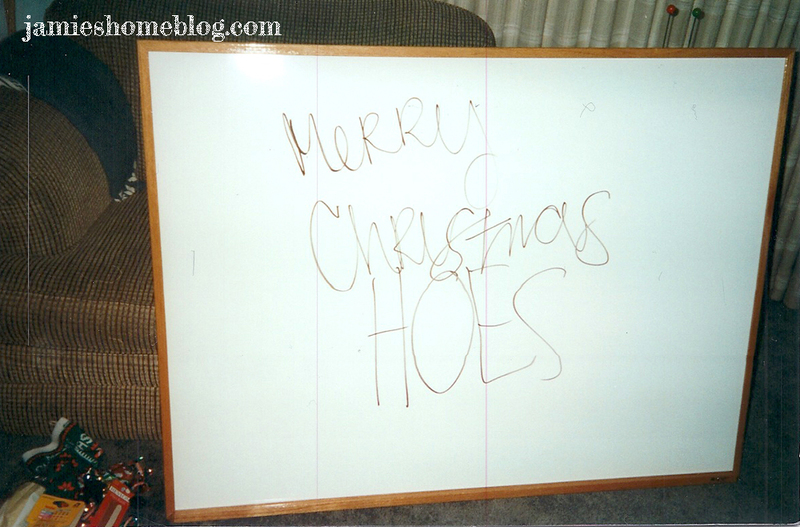 Also – fun fact – I still own that trunk table! And it still looks the same as in this picture. BAD DIYer, BAD! 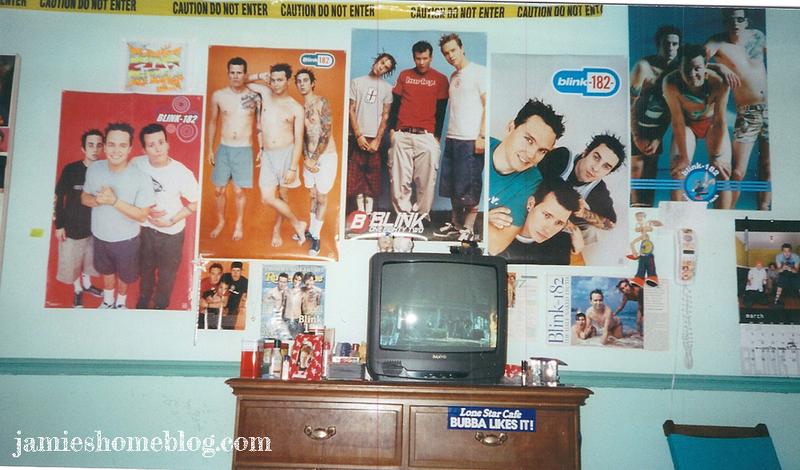 Oh in case you guys didn’t know, I like Blink-182 a little bit. I almost typed “used to” in that last sentence haha… I don’t like lying to you guys. And seriously, did I put a bumper sticker on a perfectly good wood dresser?! For shame. 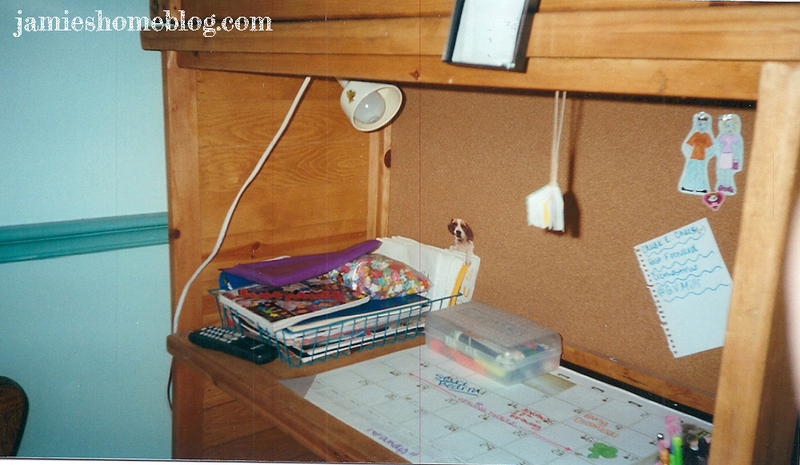 No teen room is complete without a desk at which you never always did homework, right? 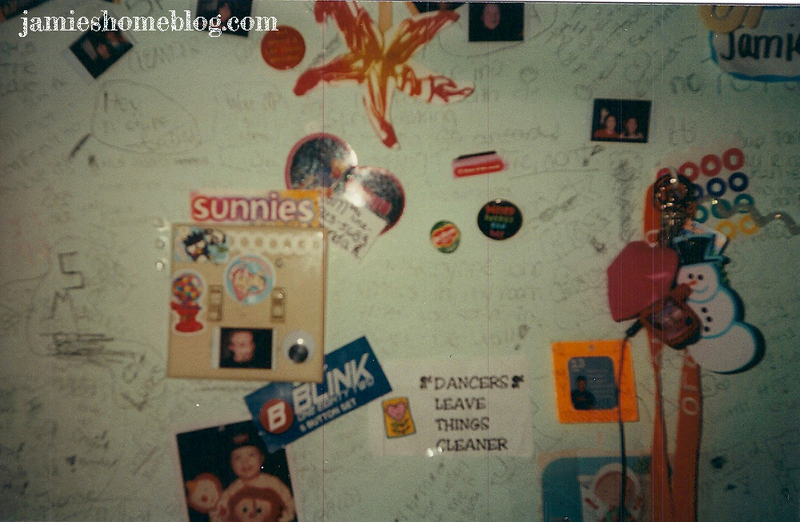 Please direct your attention to the top right hand corner of the below photo, wherein you’ll find a cartoon I drew of me and my future husband, Mark Hoppus of Blink-182. 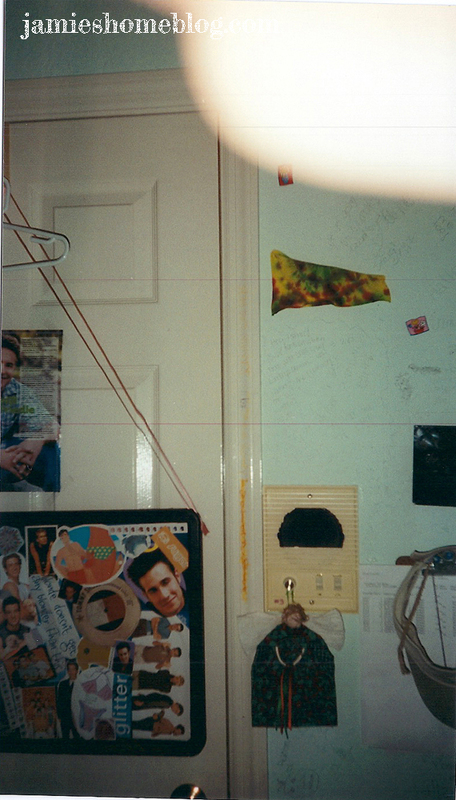 Oh and because I’m not finished having a sense of humor about my 15 year old self, here’s me that next Christmas, where I received tube lights to hang over the whiteboard I got (both of which I relentlessly begged for). Pure class. Stick that in your #TBT and smoke it. 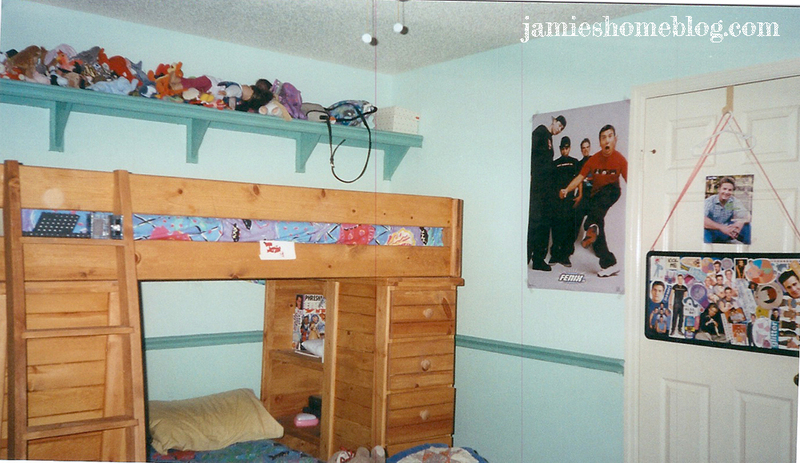 I’ve got more pics of my bedroom after we painted over the green and the wall writing (but not over my Blink posters! )… but those are for another day. 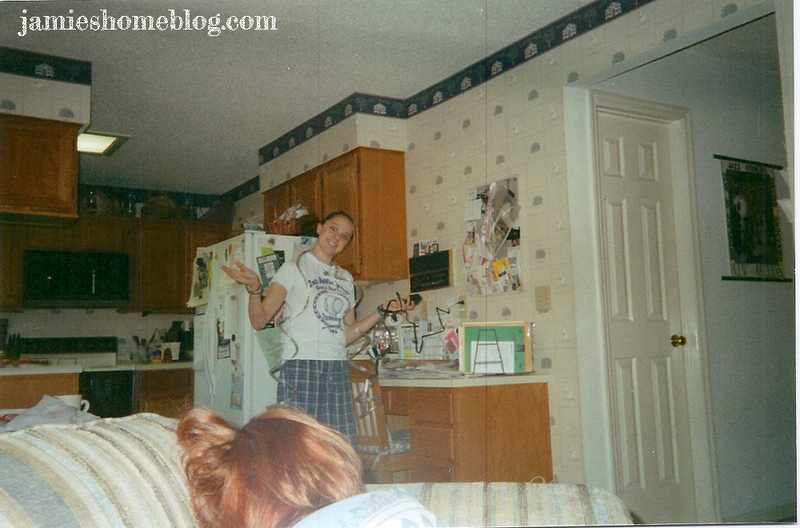 This entry was posted in Home Decor, Life, Photography and tagged arrested development, developing old film, photography, tbt, throwback thursday. Bookmark the permalink. I have never seen the show Arrested Development, but I do enjoy seeing photos from the past. 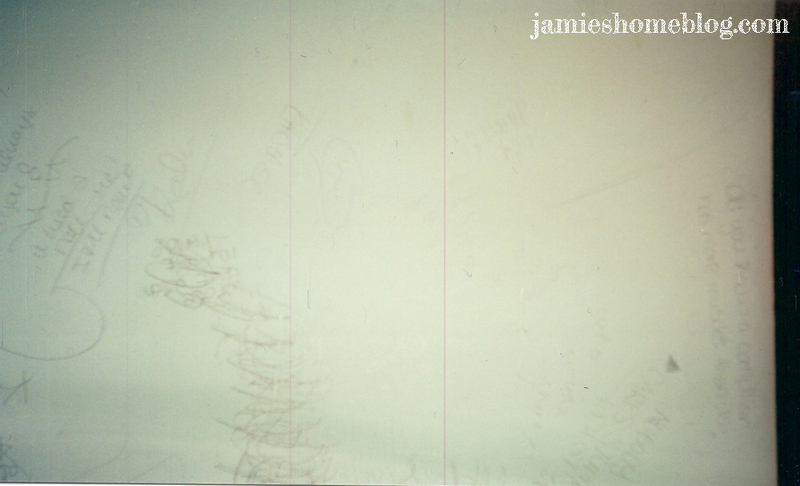 I wish that I had documented my history, great post, Jamie, thanks for sharing!